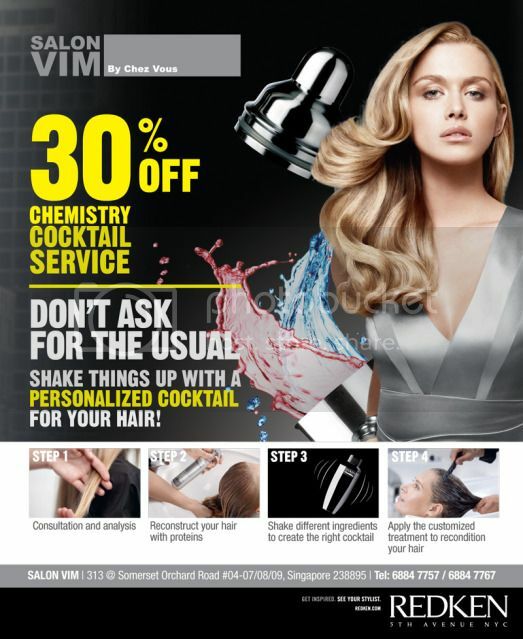 This summer, in partnership with L'oréal Professionnel, Salon Vim brings to you the 2012 latest trend fashion color and hairstyles. Explore your very own customized texturizing perm that enhances your look and style. Learn from us the different ways and products needed to maintain and change your style. 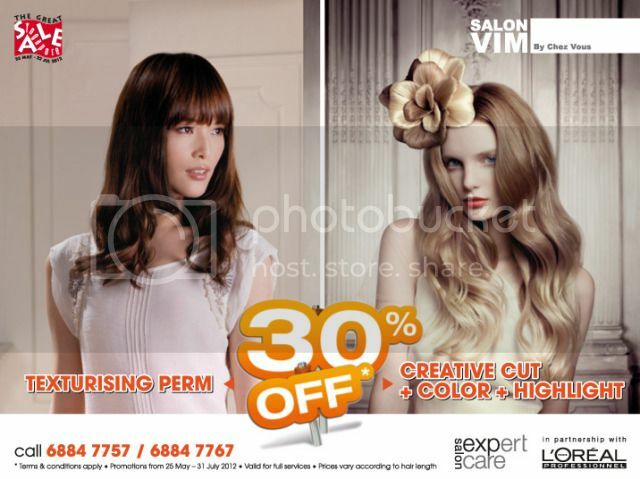 So call now to book an appointment with them and enjoy a 30% off for these services.Promotion start from 1st June 2012 till 31st july 2012.